To bring kids their beautiful cultural heritage, and to spark their cultural confidence. The diverse and distinctive ethnic culture is a major spiritual source of the Chinese nation. Find an appropriate way to bring the classical ethnic song and dance to kids and expose kids to the ethnic culture in art. It will enhance kids’ confidence and pride in their own culture. 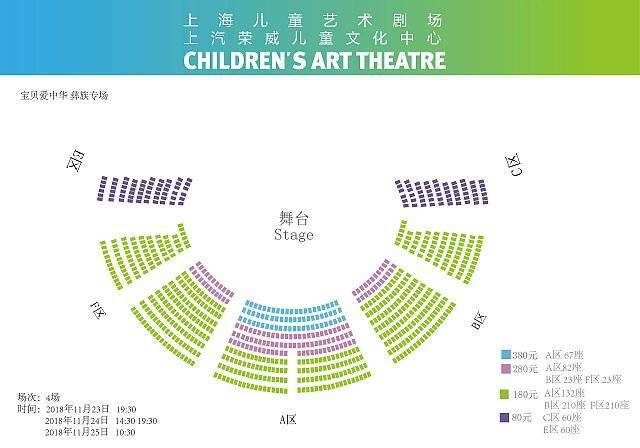 To cultivate children’s identity and empathy with Chinese nation in an early life stage, the theatre will, in conjunction with the top-level ethnic performing groups, create a brand new series song and dance performance Baby Loves Chinese Culture, which integrates stage performance, costumes and instruments exhibition, to be presented by season. Mongolian, Korean, among other ethnic group’s traditional culture will be presented. The series performances aim to display overall the diversity and richness of the Chinese ethnic culture and to attract kids to love the ethnic culture.